Hi All & Happy Tuesday! Today I wanted to share with you 5 easy steps to live a happier life! These are all steps you can take Today that will have a positive impact on your mental state. Only focus on people who make you feel good, if a person makes you feel like crap there's probably no reason to keep putting your focus on them. Is there a person on your Facebook feed whose posts drive you insane? Delete them. Is there a girl you follow on Instagram who bothers you? Why are you following her? It is completely up to you who you put your energy into. I think it's a hard thing to do- to not focus on people who make us unhappy or frustrate us. We seem to get into the habit of giving these people all of our attention. If you are constantly engaging with these people whether in real life or on the internet you will continue to be unhappy. Do not put your energy or thought into these people- move on! You will feel a whole lot better if you delete the girl who was mean to you in college off social media- soon enough you will completely forget about her instead of getting annoyed everytime you see one of her posts. By ridding yourself of these people you make room for all the people who can bring you true happiness. This world we live in is so fast moving and everything is go go go at all hours. It's important you take time every day for yourself. Maybe this time is coffee in the morning, or maybe it's reading a magazine, or maybe it's baking a treat. I'd encourage your "Me Time" to not include your phone. Let this be a time where you can be with yourself- not the 500 friends on your Facebook list. This is a great time to determine what activities bring you happiness. I personally love to have a cup of tea at night while looking through new recipes. This is a time that calms me and makes me happy. It's important to be able to provide yourself with happiness. How do you feel when someone says "Thank You" when you hold the door for them? How do you feel when they say nothing? Think about how you can be kinder towards others in your everyday routine. Are you in line at the coffee shop & the woman next to you has the cutest pair of shoes on? Let her know! Do you think your coworker did a great job on a project? Tell them! The more positivity and kind words you can put out into the world the more you will get back. Positivity attracts positivity and therefore happiness. It feels really good to be kind to others- even if they're not kind to you. It is so simple to add more kindness to your day, make a conscious effort to be kinder to the people in your life. Do you feel happy when you've got a million to do lists and things running through your mind? Nope! It will leave you feeling overwhelmed and stressed. Declutter your mind by getting all of that info out and onto paper! I carry around a little notebook in my bag and whenever I think of something I need to do, or get, or tell someone, I write it down. This helps so that my mind isn't filled with so much junk. It has made such a difference in my life- every day I can look at the page in my notebook and have all the random things in one place without me having to remember them! Every single day when you wake up choose to be positive and happy. It is your decision how you are going to start your day & my advice is to start it on a good note. I always start my day by listening to the radio while getting ready- this puts me in a good mindset for the day. Even when I wake up feeling sick, tired, or just don't want to go to work I try my best to remain positive. There are things in life that really are so minuscule and we let them get to us but don't let them steal your positivity. Did someone cut you in line for coffee this morning? Bummer- Oh well! You will still get your coffee- that's the positive part- focus on it! We can choose to focus on the negative or focus on the positive, the more you choose positivity the happier you will be! Do you have any tips to be happy? I'd love to hear! Such great tips! Decluttering your mind can be oh so helpful in SO many ways! These are all such great tips for being happy. I always found that doing the things you love to do and are passionate about leads me to be my happiest self. Me time is key for me! I always feel recharged after a little bit of self care. 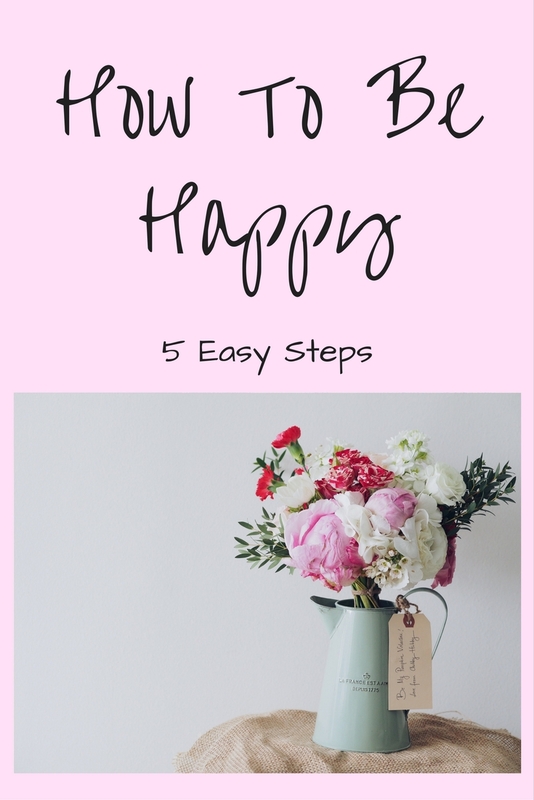 I love all these tips, happiness is always something I strive to have. Giving out compliments really makes me happy too - spreading positivity to others always comes back around! Such great tips! Choosing to stay positive really makes all the difference! I love starting my day positively, it's the best way to ensure a good day! giving out positivity is the BEST thing in the world! I love every single one of these! So very important in this day in age! Yes to all of these, especially 1 and 2!! Yes to all of these! Me time is such an essential.